So it's here. Finally. But what does that mean? Yesterday we had a huge hullabaloo of just "O frabjous day! Callooh! Callay". But, when I went home telling the 'average Joe' wasn't met with the same excitement. My wife was semi-excited... she did get to buy Alanis Morissette "Jagged Little Pill" for $1.49. But that's about as excited as I've heard anybody since. 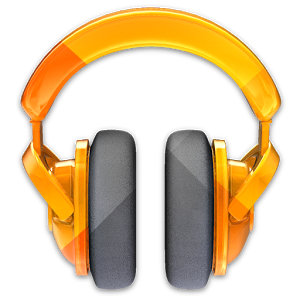 So what is Google Play Music? How do you set it up? What is All Access? So, Google Play Music is essentially a snappier way for you to get YOUR music on YOUR phone. Sure, up until now, we could do that just as easily as plugging in a USB cable and using various syncing methods to get that music on the device. What sets GPM apart is that it lets you use the cloud as an intermediary. You download a program and it'll upload your music from the computer to your space on the cloud. Then on your various devices you can then listen (stream) that music. 3. Once installed, you can then set the Music Manager software on your computer to look at specific folders to find music to upload. Do this by clicking the icon in your tray and choosing Advanced, and from there you can choose which folders on your computer will be scanned. GPM has a nice "music match" feature where it recognizes some of the files and uses what they already have in the cloud. Your space will allow up to 20,000 files! And that's it... once it's downloaded you can then use the app on any tablet/phone ... as long as you're logged into that account you signed up with. What I love is being able to sign in on any computer and streaming my music that way. Now that we have access to Google Play Music, we can buy music as we please (there's a sale on Canadian albums). We can also sign up for All Access - a 'streaming radio' service from Google. Essentially an 'all you can eat' service where you can listen to as much music as you want (just using data, mind you... cellular or Wifi). You're looking for the link that says: http://g.co/PlayMusicCA (if it's still available). That's enough to get you started. If you have any questions, just let us know, or check their 'Google Support' pages (see below).